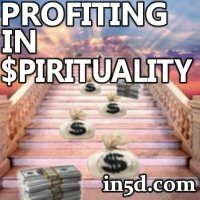 I forgive myself that I have accepted and allowed myself to not realize that many Lightworkers are Previous Successful Business people that Accumulated a lot of Money to Enable them to Do Spiritual Work, not realizing that in this Pattern is Locked in the Control of Money, as the Lightworker would Never Have Been Able to Be a LIghtworker if it was Not for Money, but Self-Honesty is Lost in the Light that Blinds. I forgive myself that I have accepted and allowed myself to not realize that Lightworkers are just a Mutated Character that grew from the Disillusionment of Religion, and that eventually, once Money Runs Dry, will lead to Self-Honesty and a Return Home to Real Life on Earth without the Light of Mind Character Energies Blinding and Feelings of Love serving Self-Interest. I forgive myself that I have accepted and allowed myself to not realize that the Character of Lightworkers does not Serve Life or Feed a Hungry Child, but only Wallows in the Self-Importance Character, Self-Created through Intense Inner-Reflection. I forgive myself that I have accepted and allowed myself to not realize that Intense Inner-Reflection will Create an Intense Lightworker Character that Seems Divine as the Memory Dimension within which the Lightworker Character Illusion exists, will be only all the Contextual Information and Knowledge that makes up the Complete Lightworker Experience - while the Reality of Life on Earth in the Current System will be Justified as Money Protects the Lighworker form Reality without Money. I forgive myself that I have accepted and allowed myself to not realize that the LIghtworker does Understand the Importance of Money, as Many will Create Businesses to Capitalize on their Fellow LIghtworkers and Invent the Most Fanatical Light and Love Characters to Feed the Inner-Fantasy - as the Unspoken Implied Agreement Between Lighworkers is to not Question Light and Love, and to Honor Each One’s Light NO Matter what is Really in Matter - Feeding each other’s Illusionary Characters in a Form of Insanity that will Immediately turn away from Any Challenge to Love and Light, as it’s Negative, and Love and Light FEAR the Negative – proving that they have not in Fact transcended Fear and are thus the Ultimate Slaves to Fear. I forgive myself that I have accepted and allowed myself to not realize that the Consciousness Created by Love and Light is an Illusionary Memory Dimension that Exists Only in the Mind of all those that agree to the LIghworkers and that this is a Closed Circle where they Only See what they Wanna See. I forgive myself that I have accepted and allowed myself to not realize that Love and Light WILL Never Produce a World that is Best for all Life as Love and Light is NOT Life, but only an Illusion Pretending to be Life with No Real Compassion for Any Suffering Being without Basic Life Support, as that will Mean the Lighworker will have to Leave the Extreme Comfort of their Illusion and Confront the Reality of a World trapped in the Debt of Money. I forgive myself that I have accepted and allowed myself to not realize that Lightworkers DO NOT Understand how Characters and Personalities are Created as Memories Fuelled by Energy and are thus Easily trapped in Illusions, as in Essence: Lightworkers are Weak Characters that Fear Fear the Most of All. I forgive myself that I have accepted and allowed myself to not realize that Lightworkers have Created a Consumer Industry where Love and Light is now only another Product to Be SOULD, the clear Evidence that Lightworkers are Not Actually Self-Aware. I commit myself to Challenge the Fake Illusion as Love and Light Characters to Ensure that those trapped in Love and Light may be Able to find their Way Home to Real Life on Earth and become effective Participants in Creating a World that is Best for all Life Eternally. I commit myself to Support Light Workers in their Journey to Self-Realization as Life, as that would be a Most Devastating Journey - as Realizing that the Light Character was all a Self-Created Lie, causes Major Upheaval within the Lightworker, which is Necessary to Eventually Become a Self-Honest Living Being Making the Most of Life on Earth for all Life: Equally. I commit myself as Former Lightworker to Ensure that I never Give up till all Lightworkers are Freed from Illusion, as I was trapped myself, and know the Extent to which one becomes Lost in Love and Light - and that the Way the Lightworker Character protects its Own Illusion, is Extreme, and will Require Extreme Challenges or this Life on Earth will be Wasted as it only Ever was an Illusion Created as a Memory. I commit myself to Show that Meditation and Inner-Reflection Only Ever Create Dimensions of Memory where the Main Character as Self, as Lightworker, is an Illusion in a Memory Created by a Character that Created a New Memory of Love and Light, Multiple Layers of Illusions, that Veil the One Lost from the Reality of Real Life on Earth. I commit myself to show that Love and Light is just another Branch of Consumerism in Capitalism, contributing to the Massive Suffering of those without Money on Earth and that Only a New Economic System of Equality that Serves all Life Equally will stop the Abuse – and Lightworkers should have been the Spearhead that Brought and Established a New World System Practically, but got Trapped in Consumerism through Self-Importance and the Greed for Happiness. I commit myself to show that the Con of Consciousness is Not Self-Awareness, but only an Illusion to Justify the Self-Interest of the Pursuit of Happiness. I commit myself to show that the History and Reality of Effectiveness of Love and Light has Produced NO change in this World for Real, which is Sufficient to Stop and Do Real Self Reflection on what is Really Here on Earth. I commit myself to show that Lightworkers are Not Self-Aware as Life, as Life would Support Life, Producing a World Best for Life – and Love and light is Irrelevant to Real Life, as Food in the Tummy of a Child is What is Actually Important. I commit myself to SHOW that Love and Light as Consumer Product is Only Focused on the Survival of the Lightworker, and Not on Supporting all Life to Make Sure that Every Child Born will have Food, an Education, in a Free and Fair Environment Supporting Life Unconditionally.